The Chief's car is a 2003 4x4 Ford Expedition. It carries 2 SCBA's, 2 complete sets of turnout gear, a full compliment of forcible entry tools, a CO gas detector, an AED, a medical bag, fire extinguishers, and incident command vests. The vehicle can also carry 5 firefighters. 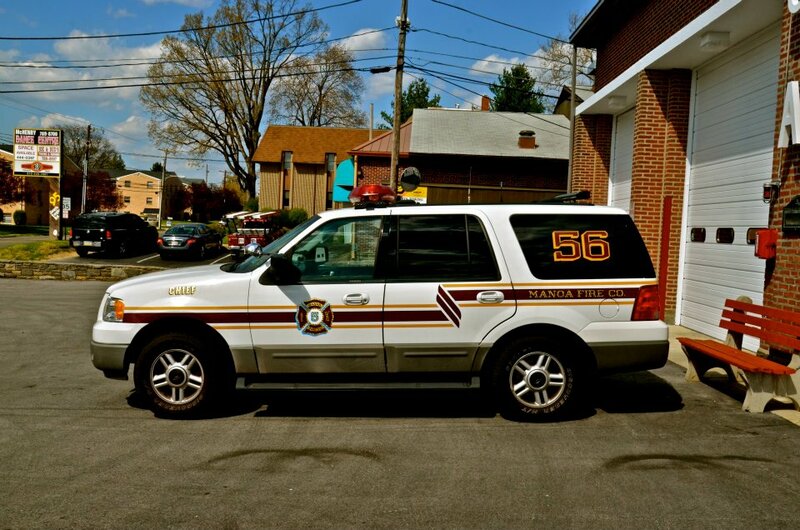 This vehicle was refurbished with new lettering and striping in 2012.